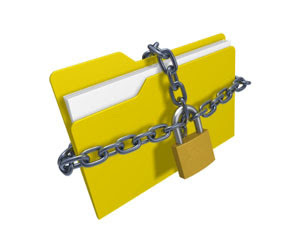 Confidentiality is a huge issue in many practices, especially in that of school psychology. The code of ethics state that it’s important that we keep students’ information safe and that we respect their privacy and that of their families. But to what degree do you think this is actually put into practice in schools? Do you believe that school personnel abide by confidentiality rules such as the School Psychologist in this article or do you think that they do participate in hearsay with their colleagues? What is it like at your school? This Blog was created by Denise Torres and Stefanie Tych. In the high school I work in there is definatley heresay where individuals share info they should not. One child in particular is new to the district and has lots of behavioral problems and many of the teachers and staff talk about his behavior and have given him the nickname of "Hitler." Having read his file it sheds a lot of light on why he acts out and exhibits many behavioral problems. However, I am only an intern and a sub and can't disclose any information I read on the child. I have spoken to two individuals and said how I don't call him that and then left the conversation, but I am uncomfortable truely confronting them. It is an awkward situation and at times if feels that unless you share info others will not understand the situation, but you can not do that...it is really a Catch 22 especially when you are in a subserviant position. In my experience, school personnel share information but usually the information shared pertains to students serviced by the person(s) privy to the classified information. I have not encountered too many situations where files were shared with people uninvolved with the child or family. In those cases, confidentiality is taken very seriously. Working in a school and interacting with the teachers on a daily basis you do start to observe how curious they can be. Theories and hypotheses about what is "wrong" with that student are bound to come up. It used to be and still is that special education teachers and the IEP members can look at the student's files to make the appropriate accomodations, but nowadays it seems that almost anyone can access these files. Like Rebecca said it helps to understand the student better and address the issues in school and begin to view them not as an issue but as a student. Unfortunately, some teachers can be insensitive and only use that new knowledge as gossip, making ocnfidentiality almost nonexistent. As a student teacher in a public school, I encountered several teachers that participated in hearsay with other teachers and they also spoke to me about things that as a student teacher, I really didn't need to hear! I must say that the teachers lounge, in many schools, is known to be a gossip area, where no one is spared! Since then, I have not encountered anything similar to that and I'm glad that the teachers I work with take confidentiality very seriously. I don't know what kind of professional development content teachers are encouraged to register for, but I would like to see workshops that address not just academics but also emotional well being of students. If we address the student needs with in a larger context, like Brofennbrenner's model than maybe we can avoid hearsay. I don't currently work at a school at this time either but working at a hospital I do have abide by certain confidentiality laws in regards to patient privacy. However, just as many of you said lots of colleagues give up privy information to other coworkers. Sometimes it's for advice on a case but sometimes it's just pure gossip. We are all human and curious as Mark pointed out but I think as professionals we really need to draw the line somewhere. Imagine if you were the student, the parents or even the patient ... Would you want faculty members or doctors talking about you and your situation when it wasn't absolutely necessary? I wouldn't. Working as a sub, I have noticed that many teachers do a good job with their sub plans by informing you what you have to do to follow an IEP without telling you any more than you need to know. I subbed in one class with a student who is hearing impaired so everything had to be written on the board, but this was all I was told. I do not know who suffered from the hearing impairment nor did I need to. This is the type of approach that needs to take place more in the classroom. I agree, Denise. People are curious and share information intentionally or unintentionally. At any rate, information should be shared only in an effort to assist an individual. People really need to refrain from giving specific information from a case that is irrelevant to treatment. I certainly would not want anyone sharing confidential information about me with others that are uninvolved with my treatment. Rebecca, its good to know that people do follow confidentiality guidelines and the identity of the student in the class you were subbing did not have to be compromised. I know it's a difficult task to keep confidentiality especially when you are working in close quarters with the same teachers everyday. I guess it will just be something we can't take for granted as School Psychologists and just continue to strive to be as professional as possible. There are always going to be teachers and other school professionals who are going to abide with the confidentiality rules, and there are some that are not. To be honest, it is something very difficult to keep quiet and not join in the discussion when you do not want to be known as the lone-ranger, and you still need the cooperation and collaboration of teachers and other school professionals in carrying out your job. I don't work in a school, so I don't have any first-hand experience, but one must resist the temptation to discuss one's knowledge of students in causal conversations with others. We have to maintain our trust as professionals. Jacob and Hartshorne (2007)made reference to a case (3.3) on pages 68&69 that shows the dilemma that school psychologists can find themselves in. Trust is the foundation of therapy so it is important to try and remain professional at all times even when it is tempting to divulge sensitive information to others or become involved in a conversation about clients with uninvolved individuals. People have a natural curiosity but it is up to individuals how far they take the curiosity and whether they want to infringe on others’ rights to privacy. I currently work in a public school and have for the past six years, and I can honestly say that the "gossip" or "hearsay" happens more than you think. Initially, I was not as aware as I am now in reference to confidentiality. I can honestly say that I used to participate in those conversations about students. Now, I tell my colleagues “that information is confidential and I cannot share it with you.” They look at me like I have two heads. I believe it is important to maintain confidentiality, not only because it is the law, but because once people know information about a child, they tend to label the child. It would be great if all school personnel adhered to confidentiality rules like the example, but it definitely does not happen. I worked at a preschool where many of the teachers were young and new (not to say that is a necessity for gossip) but I think that that was their way of connecting to each other. I was only a paraprofessional and I knew way more about certain children than I should have just from hearing and talking to some of the teachers. So, yes in my experience there have been many instances of breeches of confidentiality. I musy say though, there have been many times early in my career at schools that I have asked questions about certain students and was told I couldn't know the answer. What we all know is that these things are happening in a large proportion. Our role is to ensure that we don't add fuel to an already burning fire by divulging confidential information. It is when we stand against these things, and other people know that we are not for it that's when we can begin to curtail this raging fire, and even start to curtail it, till it is finally extinguished if possible. Alaafia, I agree with you. We can only really control what we say but at the same time not give into it when others break confidentiality. Mark, I like the idea you brought up about the workshops for teachers to address some of the non-academic issues as well. Too often, it seems that these conversations between teachers are sometimes used as a way of venting. But it is still not appropriate, especially because it compromises confidentiality. In addition to workshops, perhaps it would be a good idea to set some time to speak about these issues in a more constructive way. Not as structured as an IEP meeting. I'm thinking something along the lines of a roundtable discussion. I like your roundtable idea. I think it would be useful to have people from other schools attend also to get ideas from different systems. The only thing I would recommend was to have an administrator there so it does not become a complaining conference. leather briefcases are a must for business people, entrepreneurs and even students. You might think that any directory will do. But believe me, you buy your leather briefcase should be done with care and planning even more than buying a handbag fashion. The traditional black leather briefcase is the best choice for a variety of reasons. Not only the black suit practically any outfit you wear color. But a briefcase in black leather looks a bit more elegant and professional than the other options. I think it is extremely important to protect children and ensure that their personal information is kept confidential. Every student and family has a right to privacy and it is extremely unethical for school psychologist's to share personal information with others. I do not believe school personnel abide by the confidentiality rules but instead often involve themselves in hearsay with their colleagues. Many teachers just like students like to gossip and are intrigued by a juicy story. I think many teachers share information with their colleagues about certain students not realizing that they are breaking confidentiality. In High School I remember hearing teachers talking negatively about a student’s performance and claiming that the student was a drug dealer and using drugs. This was something that I simply did not need to overhear! Personal situations that students face at home should not become entertaining stories for teachers to share. I found this to be completely inappropriate and was shocked that the teachers didn’t seem to care who overheard them. In the end, this story circulated around the entire school and I’m sure Student X was mortified that the entire school new their personal business. Students need to be able to trust their school psychologist and teachers because without trust you have nothing.